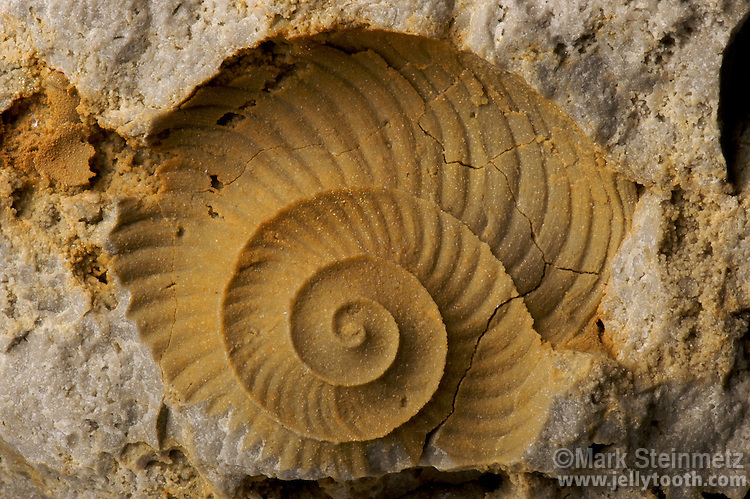 Limonite external mold of a fossilized cephalopod (Graftonoceras sp.) in dolomite found in Coldwater, Mercer County, Ohio, USA. This coiled nautiloid still shows the pattern of its original shell ornament, which consists of curvilinear waves. Middle Silurian.